Standing first left is Ahmad al-Shuqairi from Acre, who became chairman of the Palestine Liberation Organization (PLO) in 1964. Seated second left is Rashid al-Haj Ibrahim from Haifa. 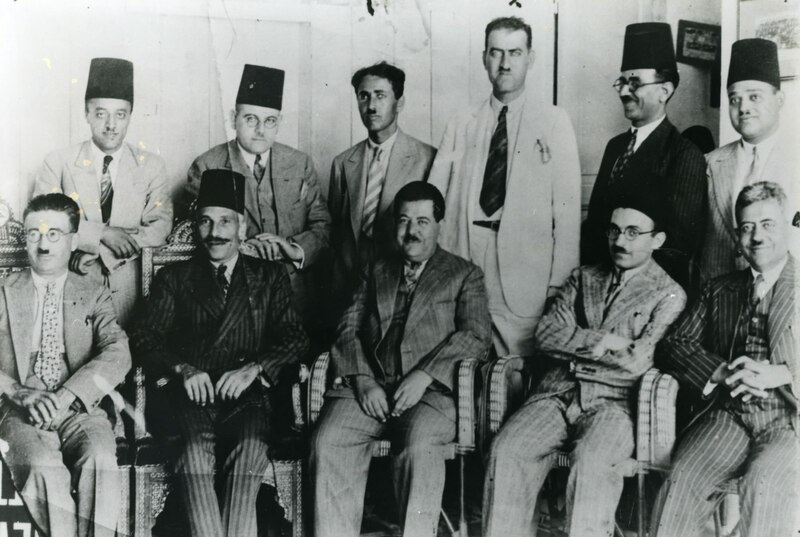 Seated center is Muhammad Izzat Darwaza, author of a classic history of the Arab national movement, and a principal organizer of the 1936 Great Arab Revolt.